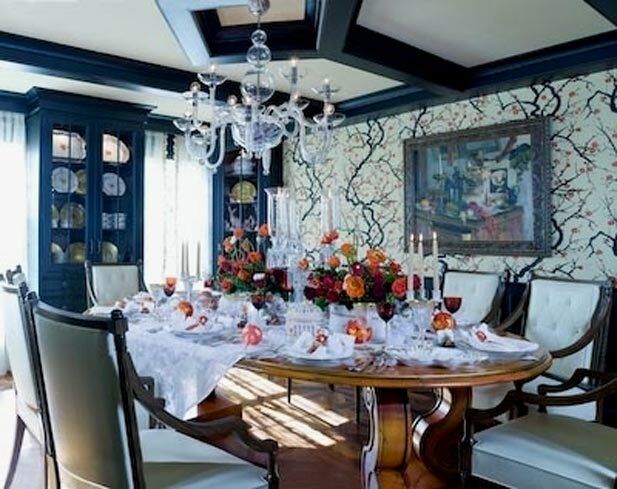 From paintings to color selection, the interior of a Colts Neck house reflects the homeowner’s love for all things art. A custom sofa, bench and armchairs provide ample seating in the piano room of this Colts Neck home. 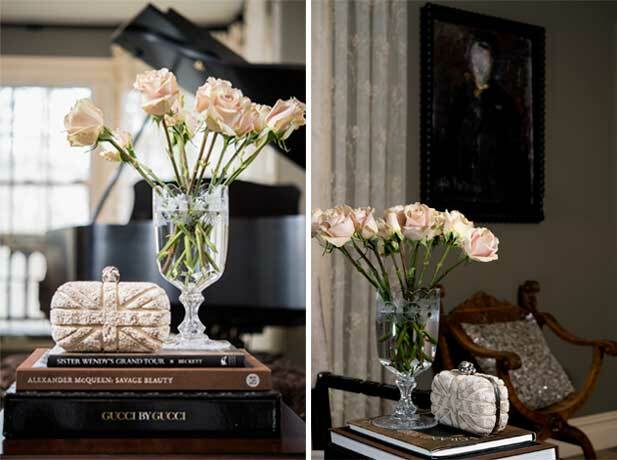 The dark brown and gray colors in the room allow paintings and other pieces, like a floor candelabra, to stand out. 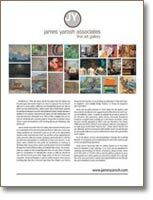 Inspiration struck soon after the Pardee family purchased pieces from the James Yarosh Associates Fine Art Gallery in Holmdel. 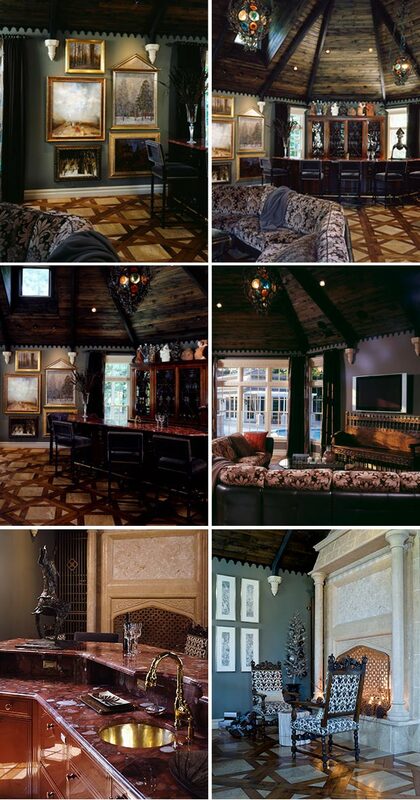 The thought: They could enlist Yarosh himself to help them decorate their Colts Neck home. The new homeowners had already moved in, but they were planning to add to the house as their tastes changed and the size of the family grew. Yarosh started in the basement, then moved to the nursery for the Pardee’s first daughter. “As the years went on, I gave James control of my entire house,” Linda Pardee says. For the next project, Yarosh was given a blank slate. The Pardees added a new two-story, peaked-ceiling great room and a double-sided fireplace to connect to the addition to the existence structure. The carved-stone fireplace, which faces the and an adjacent sitting room, added “strong bones” to the house and easily became the new gathering place. “Once the bones were created, we focused on the details that allowed us to incorporate both old and new elements and serve as a painterly conversation of color, shape and abstracts,” recalls Yarosh. 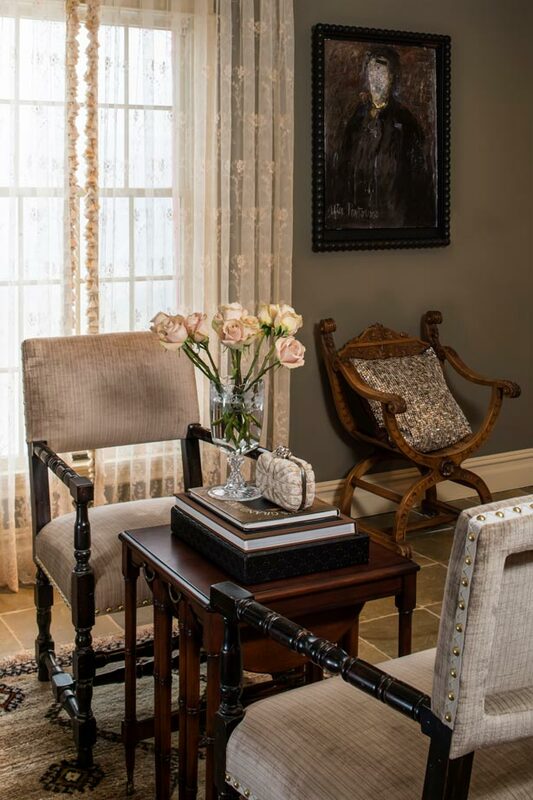 Artwork purchased at Yarosh’s gallery as well as the designer’s trips around the world inspired by the use of many of the hues he found throughout the home. The color palette of grays and browns in the great room and orange furniture elsewhere is reminiscent of the fire and amber light seen in some of the paintings. Hanging from the great room’s soaring 25-foot ceiling are two antique chandeliers made of iron and glass. Overlooking the dark walnut bar and perched atop an antique breakfront is a curated selection of statues. And flanking the Bar are paintings by Vachagan Narazyan (the first pieces the Pardees purchased from Yarosh) and Russian realism. 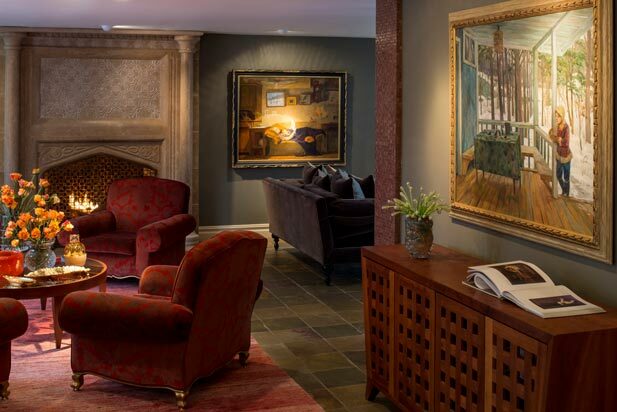 The deep, rich colors in the sitting area next to the great room allow paintings and textures, such as the carved stone and ironwork on the fire place, to stand out. 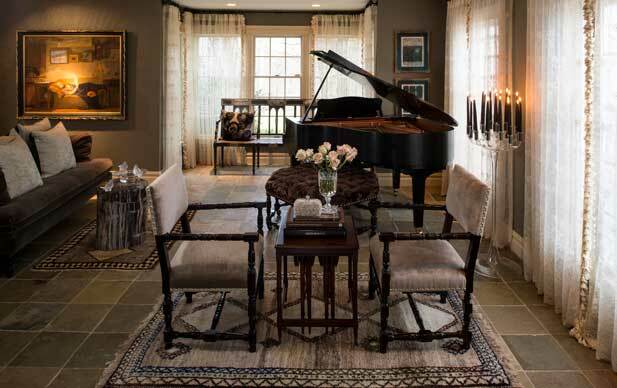 Four chairs arranged in front of the fire place promote conversation but also serve as extra seating to the adjacent piano room. After the Pardees bought a piano for their children’s lessons, they created the space in lieu of a formal living area. The piano room earned the nickname “Musical chairs” because of the mixed seating options available to family and friends. “The idea was to create open spaces and a common identity so that no matter what type of occasion the homeowners were celebrating, it would always feel special,” Yarosh says.